Obituary for Patricia Mary (Robinson) Lomond | W. J. Dooley Funeral Service Ltd. 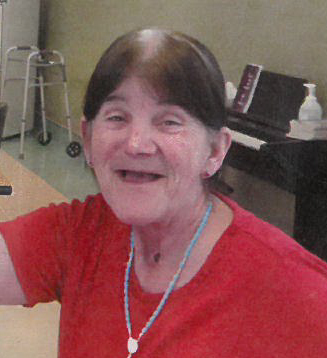 It is with heartfelt sadness we announce the passing of our mother, grandmother, great-grandmother, sister and aunt, Patricia Mary Lomond, age 68, on Wednesday, April 10, 2019 at Taigh Solas in the Northside General Hospital. Born in North Sydney on January 17, 1951, Patricia was the daughter of the late Gerald and Frances (Young) Robinson. She was a member of St. Joseph Church in North Sydney. She loved being with family and spending time with her grandchildren and great-grandchildren. She is survived by her daughter Cheryl (Wayne) Sullivan, her grandchildren Shawn Lomond, whom she raised, Destiny, Carolyn and Johnna Dermody, Julia Lomond, Brook MacLean, Kelly, Michael and Seth Sullivan, her three great-grandchildren, William “Billie”, Josie and Edward James. Also surviving are her two sisters Geraldine Robinson and Janet Robertson, nieces and nephews. Besides her parents, she was predeceased by her husband Calvin Lomond, her sisters Marie, Emily, Marge, Artie, Anne, and Pearl, brothers Billy and Johnny. Visitation for Patricia will be held from 9:30-11:00 a.m. Saturday in the W.J. Dooley Funeral Home, 107 Pleasant Street, North Sydney. A funeral mass will be held at 11:00 a.m. Saturday (today) at St. Joseph Church with Rev. Doug MacDonald officiating. Burial will take place at a later date at St. Joseph Cemetery, Bras d’Or.